All smoke alarms need to be replaced every 10 years, regardless of whether they are hard-wired or battery powered. If your smoke alarm is more than 10 years old it may not be protecting you, even if it beeps when you push the test button. This year we’re asking you to check the replacement date of your smoke alarms. 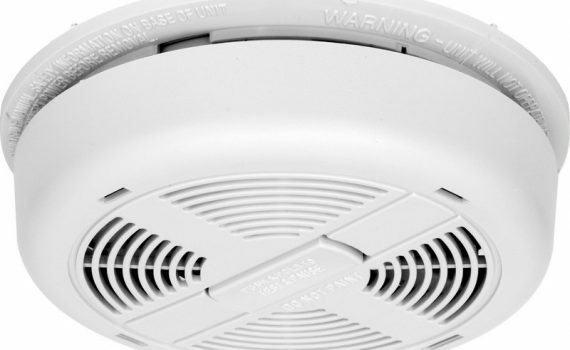 The replacement date or the date of manufacture should be printed somewhere on each smoke alarm, usually on the base. If you can’t see a printed date on the unit it is likely to be over 10 years old and requires replacing. If your smoke alarms are less that 10 years old please ensure the battery is in good working order. Smoke alarms powered by a 9V battery require the battery to be replaced annually. It is law to have hard-wired smoke alarms connected to mains power if you home was built after 1 August 1997. Hard-wired smoke alarms can only be installed by a qualified electrician. Even hard-wired smoke alarms have a battery as a backup power source. If the battery is a 9V battery it requires replacing annually. CFA recommends you replace existing smoke alarms with photoelectric smoke alarms powered by a 10-year lithium battery. Replacing you smoke alarms with this type means you won’t have to remember to replace the battery every year. Click here for additional tips to ensure your smoke alarm is working at its best when needed most.